Hello kitty is a very famous character. is it a fictional character from Japan. She is depicted as a cute white Japanese bobtail cat that wearing a red colored ribbon in her left side of the head. in this template, there are three slide, with three different kinds of designs. Just like a usual hello kitty, she bring a pink aura with her. So, this template is mainly in pink. The first slide used to write the title of the slide and it’s description (the further explanation about the title of the presentation). 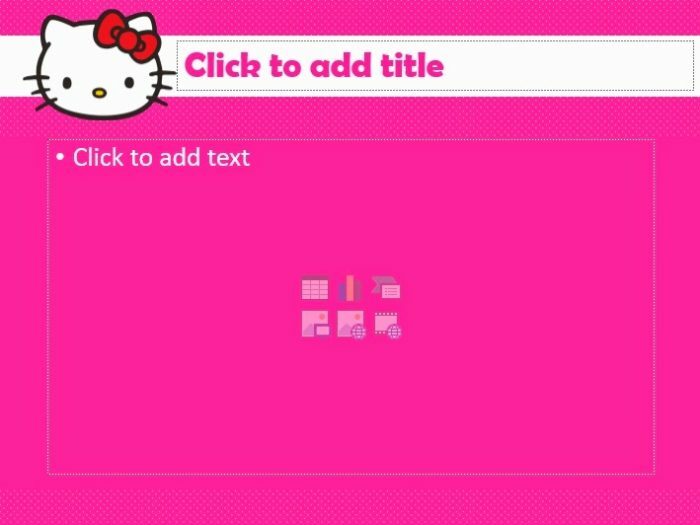 In this slide there is full body of the hello kitty. The background color of this slide is pink and white. The second kind of design is for the content slide. In this slide, the background color is pink. There is one face of hello kitty in the left corner and the subtitle in the right corner. And the third,it is designed special for the last slide where we usually use it as a ‘thank you’ slide. In this slide, the background color is pink and white. 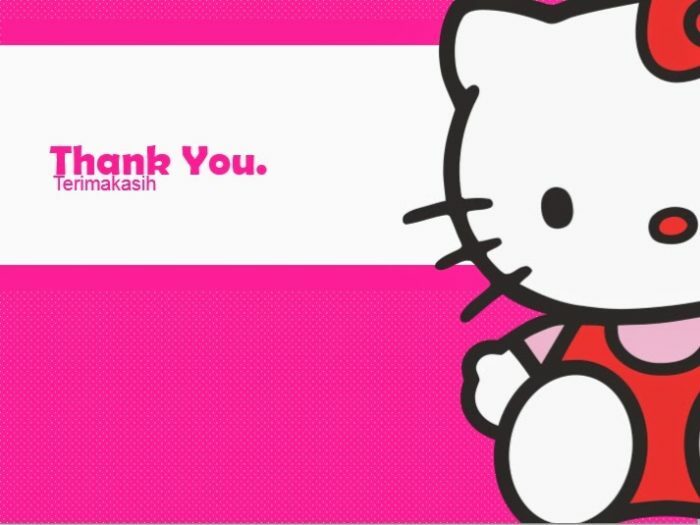 This slide has a picture of hello kitty, and in the center of the slide with a thank you written beside the hello kitty.